Miscellaneous - I've got a custom titanium exhaust being fabricated by an unbelievably talented group of people, I won't divulge too much info on that until I take delivery of the system! What else would you guys recommend? Obviously I'll be diligent with regards to preventative maintenance. Last edited by jives; Mon, Nov-28-2016 at 04:47:37 AM. it seems like your goal is to do it right and you have chips to do it. sub'd. can't wait to see this come together. I plan on doing it right until there's nothing left, haha! 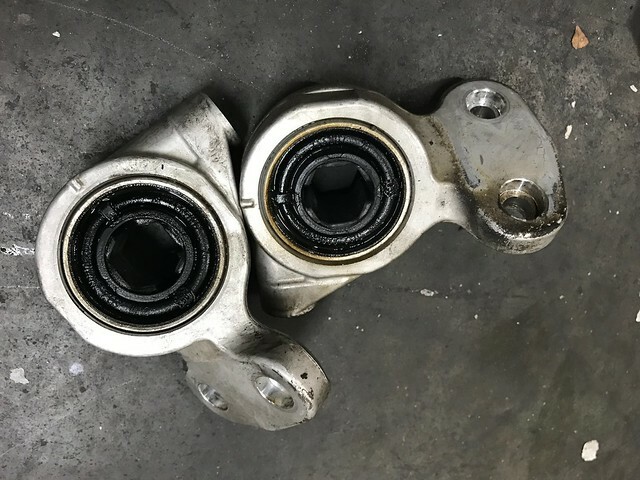 I think the Dakar calipers are gonna be a done deal. I'll play around with photoshop and get an idea of what it would look like. Hadn't considered the OEM CSL diffuser, but that would definitely look proper. Thanks for sharing your thoughts and following the progress! I'm currently fixing a lovely CPV leak, doing the FCABs, and changing out some fluids while I'm at it. As they say "you gotta pay to play"
I definitely agree with the above. I've always loved the CSL trunk but lately find it less necessary. Dakar with very visible Dakar calipers is definitely the only way to go. Stroker build sounds like asking for trouble. Or more appropriately, asking for your car to be off the road for half a year. I mean, if you really want to go all out, go for it, but you've already got a freakishly powerful car. If you just want to go really fast you can always drive that. You make a very valid point, but I've driven an e46 powered by an S54B35 and was blown away. The GT-R is going to be replaced by either a 991.2 GT3 or another very fast V8 powered twin turbo car built in the UK (pretty decent hint). The stroker would definitely be much further down the road. I'd like to retain the N/A characteristics of this M! I am on the fence about the CSL trunk simply because I could allocate that money into other areas of the car. Part of me is saying "Do it" and if I don't like, just swap the stock one. But I likely wouldn't be able to find a buyer for the trunk at a reasonable price since they'd be burdened with repainting it. Thanks my friend! However, I'm gonna need some E88s now. 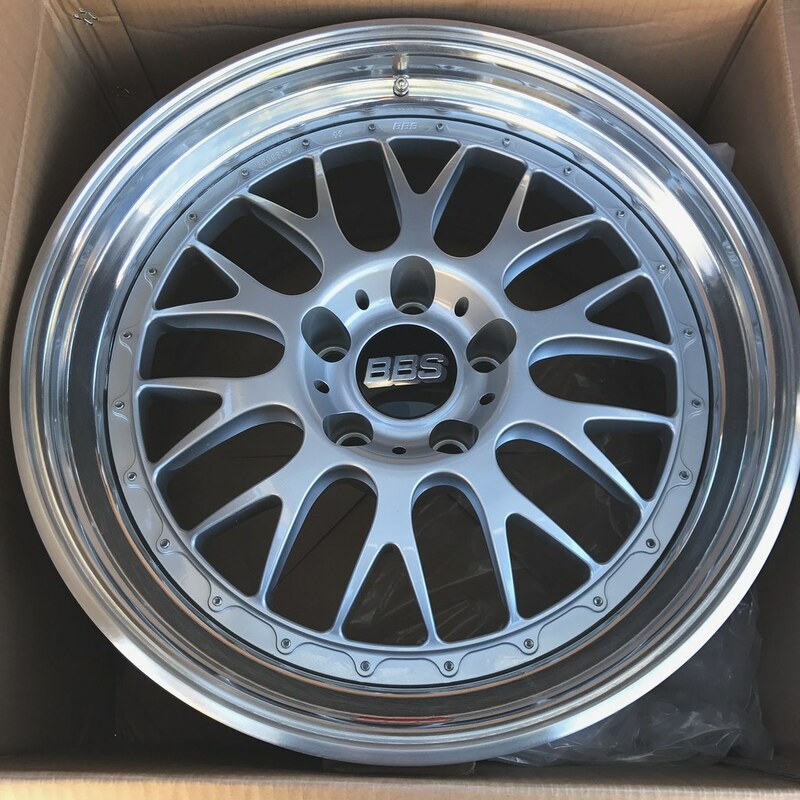 I went ahead and purchased slicer's mint BBS E88's. Simply because the only thing better than one set of BBS wheels ... is two!!! I'll have these mounted very soon and can't wait to see how both sets look with a drop. The FI may not be everyone's cup of tea but I love them, and the E88 is such an amazing looking motorsport wheel. I'm beyond stoked to have both options. All times are GMT. The time now is 04:21:55 PM.